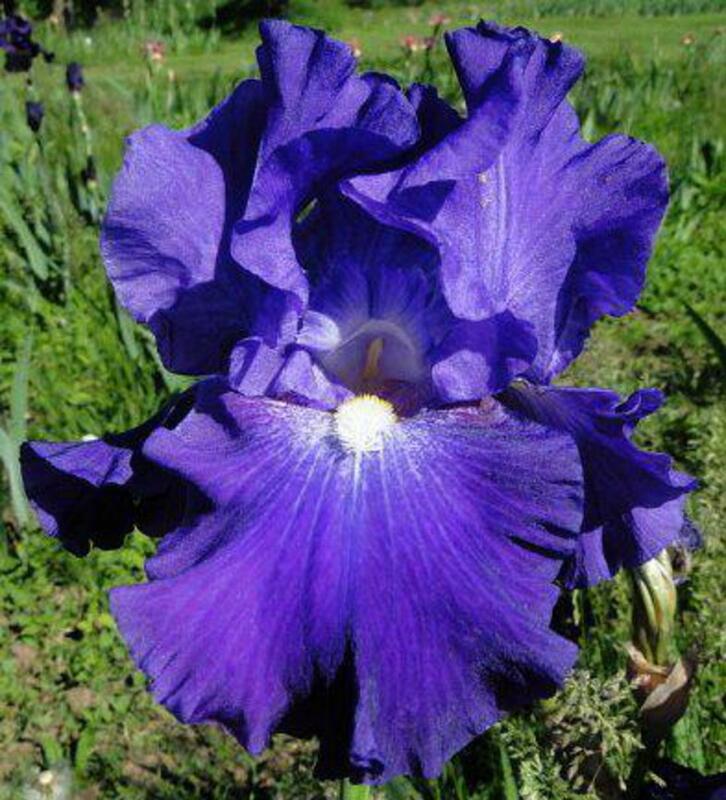 Star Voyager-(Jim Hedgecock-2013)-Tall Bearded Iris-35 Inches Tall-Early Bloom Season-Ruffled standards dark blue with white infusions at midribs. Ruffled and fluted falls dark blue with white sunburst pattern at white beards that turn yellow in throat. Almost always the first tall bearded iris to bloom in the spring.